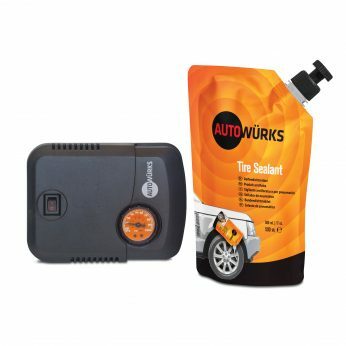 Autowürks emergency flat Tire Repair Kit 500 offers motorists a reliable alternative to the traditional method of changing a flat tire that would normally require the use of a car jack and tools to remove and replace the wheel and flat tire. Autowürks sealants contain a state-of-the-art blend of fibers, binders, polymers and congealing agents that intertwine and clot to seal punctures in your cars tires. All Autowürks Tire Repair Kits include our patented OEM tire sealant ensuring the highest quality and reliability. This entry was posted in Tire Repair Kits and tagged flat tire repair, Tire repair kits on September 22, 2018 by Matt Karaus.